We presume that you already flushed your router with DD-WRT firmware and your router local IP address is 192.168.1.1. When you connect to this router via wi-fi you have internet, we also presume that you have already tested VPN on your PC/Mac to ensure that your network configuration and ISP allow PPTP or L2TP/IPsec connections. 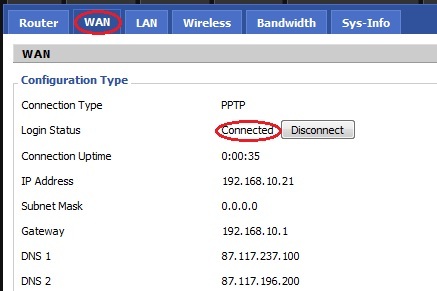 Connect to the router using either an Ethernet cable, or by joining the wireless network ‘dd-wrt’. Open a web browser, and load the following address: http://192.168.1.1 Note, first set your network connection to obtain IP address automatically if you connect to your router via Ethernet. 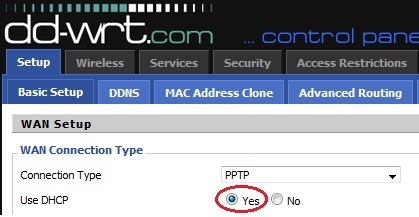 Configure your DD-WRT router to share your regular internet connection. Go to Setup then select Basic Setup. Under Gateway (PPTP Server)enter the IP address of the server you want to connect.Under User Name enter your VPN username (your registered email address). Under Password enter your VPN password. MTU change to Manual and set to 1460 as value. 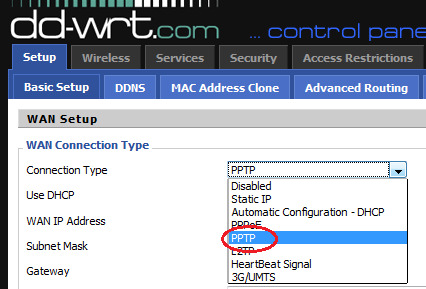 Enter an IP address for the DD-WRT access point.Note, if this is the second router then you must set a different Local IP address then your main router. 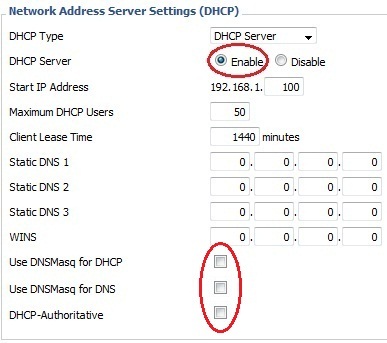 Enable DHCP Server and uncheck all three checkboxes for ‘Use DNSMasq for DNCP’, ‘Use DNSMasq for DNS’ and ‘DHCP-Authoritative’. 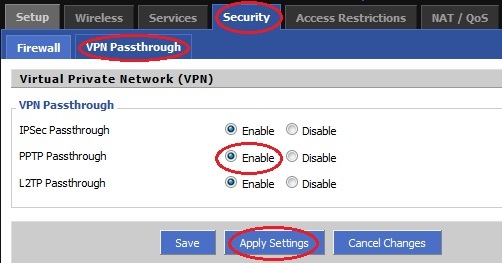 Click on Security then click on VPN Passthrough and enable PPTP Passthrough.